Home colorful nail polishes Kinetics nail polish nail polish professional nail polish Kinetics Nail Polish Haul! These past weeks I certainly had a nail polish obsession, I just couldn't stop buying them...That was the time when I discovered a professional nail polish brand and as I wanted something new I said I could give them a chance. Soon I'm gonna be doing a review about them, for the moment I want to try them all out and play with them a bit. 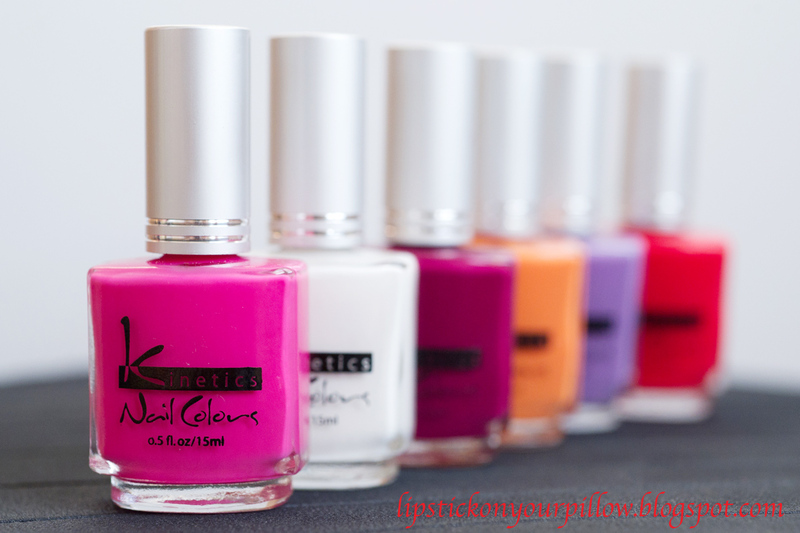 And here it is my Kinetics nail polish collection! You can find them here . I took the pictures in natural daylight. 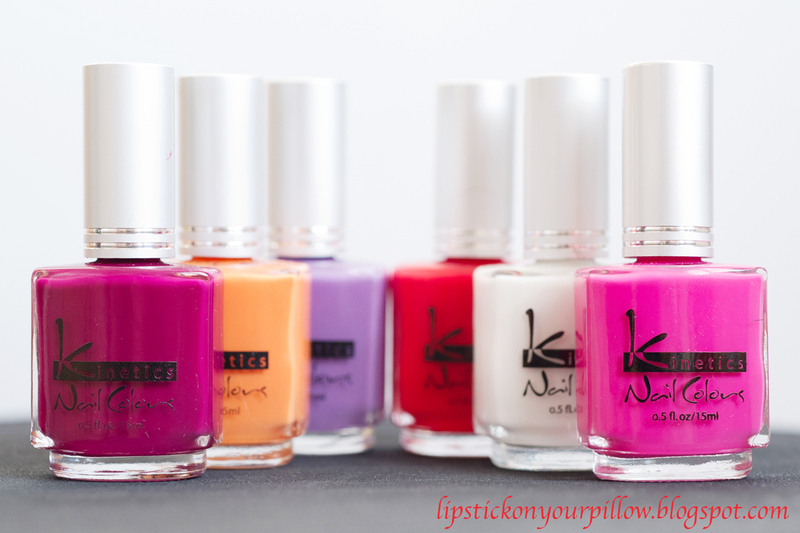 These shades caught my attention because they are so bright and in the same time they are cremes, which I absolutely love, I prefer adding glitter when needed. 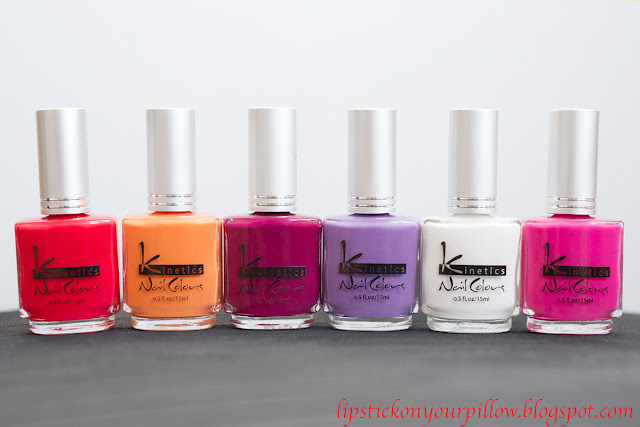 I paid for each of these nail polishes £3.40 I think, so they're not expensive at all, and there are lots of shades to choose from, an online catalog it's on their site. I also found a site where you can purchase them online here. I'll review and swatch them soon, so stay tuned!